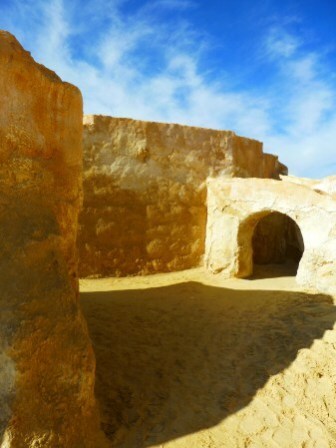 Tunisia is the home of Star Wars. Actually, that’s rubbish. 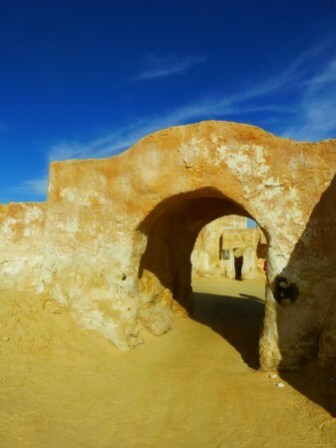 A galaxy far far away is the home of Star Wars, but Tunisia is the home of a load of Star Wars sets, landscapes and other related-stuff, some of which I was lucky enough to get a look at while I was there. I’ll start with the cheese. 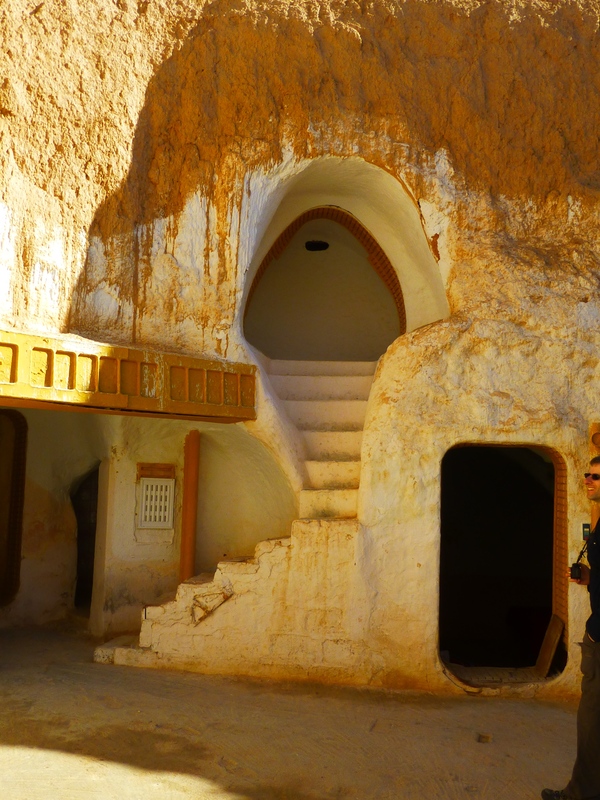 I’ve already posted this, but the tackiest, most cheesy place in all of Tunisia was once Luke Skywalker’s home. 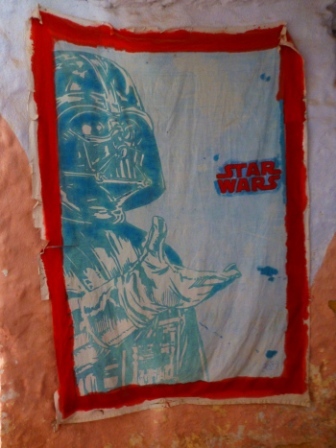 I’m not sure if this (above) was a towel or a bedsheet or what, but it’s what greets visitors to the Hotel Sidi Driss. This was where the interior shots of the Lars homestead were fimed, so it is actually (kind of) the real thing. 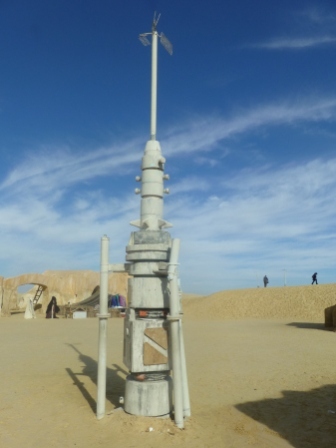 Some of the original set dressings and props are still in place and have been used by the current owners to jazz up the place for the Star Wars faithful, and other assorted gawping tourists (like me!) to visit. 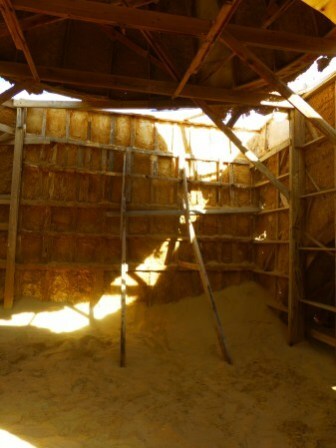 I should say that the result is hilariously tacky, but also a bit of a shame because these troglodyte houses are actually quite nice, and there is the potential here for a proper little museum. They have some set photos and reports as well as the props, and so this could actually be more that just an oddity, good for only a ten-minute stop off and a laugh. Oh well. 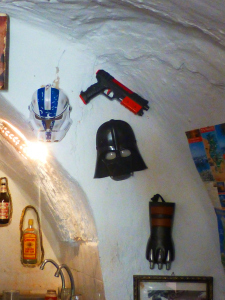 The owners have got the Star Wars faithful and other assorted gawping tourists paying a dinar a pop to have a look, so I guess they’re doing ok out of it. 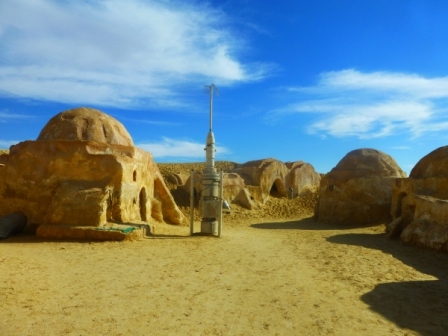 This ‘town’ is supposed to be Tatooine and (apparently) the setting for a lightsabre battle between Qui-Gonn Jinn & Darth Maul in Star Wars: Episode I – The Phantom Menace (1999). 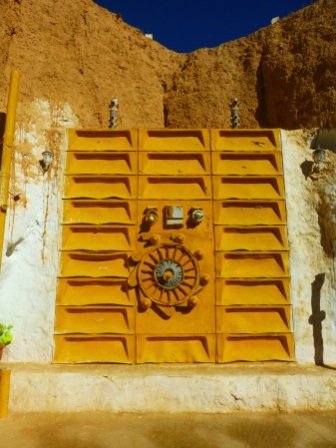 Actually it’s a stage set at Onk Jemal near Tozeur. It looks good, but a peek inside the buildings reveals the total fakery. There was some discussion about the site’s continued existence. 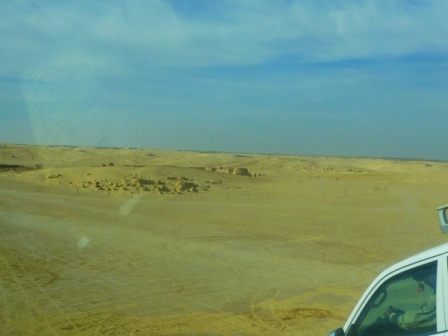 I mean, if a film company goes and builds a random town in the middle of the desert, surely they should dismantle it and take it all away when they’ve finished filming. So perhaps (and I should stress that I have no evidence for this. I’m just musing) the locals actually asked for it to be left there as a tourist attraction (?). 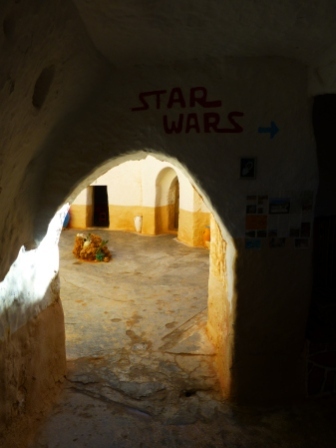 There are other sets and places associated with Star Wars in Tunisia, but it’s not clear whether there is any particular feeling of affinity with Star Wars on the part of Tunisians. For me, it’s a part of my childhood and, I’d go so far as to say, my cultural heritage. I ‘get’ the Star Wars references in Family Guy (“something, something, something Daaaarkside”); I know what Princess Leia buns are. Do Tunisians have any similar feelings about it? Or is it just some Hollywood thing plonked down in their country? 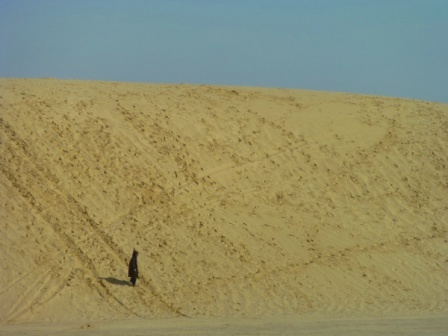 There was an interesting discussion about the archaeology of Star Wars recently in Heritage Daily which approached these questions. …so perhaps George Lucas knows something we don’t. Hmmm. 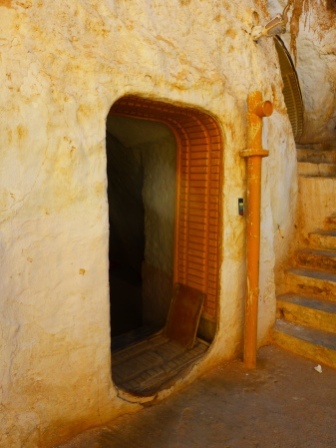 This entry was posted in Archaeology, Tunisia and tagged Africa Proconsularis, Archaeology, Star Wars, Tunisia. Bookmark the permalink.